When something doesn't fit my typical hypothesis testing interview style, I start to think that there are other things going on. Things that might not be obvious and things that I will need to piece together with further evidence gathering and collateral information. That is what happened when I was watching television last weekend. It happens all of the time in real life. I remember the day when I was a second year resident and my attending asked my: "Suppose that you are at a party and this person comes up to you and starts to act in a certain way. Do you tell yourself: "I am off the clock" and try to react in a way other than a psychiatrist might act or do your think about that interaction like a psychiatrist would?" There was some uncertainty there as a rookie, but not after 3 decades of practice. You see the world as a psychiatrist. That is why I suddenly became much more attentive when I heard the words clozapine and clonazepam mentioned in a very popular television drama last weekend. Before any further consideration, this is about the implications of a purely fictional scenario. This post is more about the motivations of the author or authors than psychiatric treatment. At that level it is probably more about individual or cultural perceptions than reality. I was watching the highly popular television series the The Walking Dead last weekend. This series is all about surviving a zombie apocalypse. In this scene, a group of survivors is providing some kind of emergency medical care. They are in a large hospital building. I was surprised when the ragged physician gave the order to give a patient "75 mg of IM clozapine". Any psychiatrist or psychiatric nurse knows that there is no IM form of clozapine and that according to the standard titration that dose is probably too high in any clozapine naive patient on day 1. Apparently the writers of the show knew at least some of that because the actress who was working on the doctors orders had to take clozapine tablets out of a standard large pharmacy bottle and grind them up with a mortar and pestle so that they could be dissolved and injected. She proceeded to inject the fictional patient with clozapine. In a few minutes, the treated patient developed tonic-clonic seizures and dies. She goes back to confront the original physician who gave her the order and is told: "No I said clonazepam and not clozapine." Interestingly this combination is not on the list of look-alike, sound-alike or confused drug names by ISMP , but it is in this document about using TALL MAN font conventions to prevent mistakes among drugs that look alike. On page three we learn that clonazePAM- cloZAPine-KlonoPIN are confused medications. I think that anyone without experience in these medications might make that mistake. Of course for the purpose of drama, we learn later that the physician giving the order actually knew that the deceased man was a physician. They previously worked together in a hospital setting. In the dog-eat-dog world of the zombie apocalypse, the ordering physician did not want any competition for his medical position. He did not want to risk elimination by his more ruthless leader. He intentionally ordered his assistant to give a clozapine injection and then lied and told her that he said clonazepam and not clozapine. I posted the structures here to illustrate that before there were administrators focused on the confusion between names there were chemists to show that each of these compounds is unique. Studying pharmacology and those technical details adds another layer of appreciation. Psychiatry adds another layer of meaning on top of that. I have seen the benzodiazepine trends and concluded like many psychiatrists after years of practice that clonazepam and other benzodiazepines might be useful for the first months of treating anxiety or panic. As an add-on for anxiety in people with severe problems they don't add much. In the end there are still the same problems and an additional addictive medication. When I think about clonazepam, I am also reminded that even the professionals can be confused. I used to work at a place where it was not considered a benzodiazepine and not subject to the same security precautions - even after I pointed that out. Clozapine on the other hand can be a life changing medication. People with refractory psychosis and mood symptoms become clear and function at a much better level. If clozapine did not have significant limitations from toxicity, I doubt than there would be a need for any other antipsychotic. It is the only one with clear advantages in terms of symptoms relief, improved function, protection against suicide, and it even treats tardive dyskinesia and other movement disorders. But the way it stands there are significant side effect limitations and it is the antipsychotic that psychiatrists worry about the most. We have a case of homicide by injection of 75 mg clozapine. Does that hang together as being plausible? It also triggers an entire series of question about: "Why clozapine?" 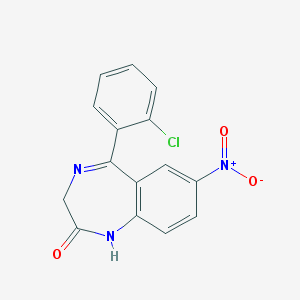 Clozapine is a fairly esoteric second generation antipsychotic. It is indicated for treatment refractory schizophrenia and a lot of experts believe it is underutilized because of its superior efficacy in this population. It also is the only medication that has been shown to have anti-suicide properties in a double-blind clinical trial. Those superior effects occur in the context of a wide range of toxicities that require close monitoring including weekly to monthly complete blood counts with differentials (depending on the time course of treatment) for the length of treatment with the drug. In addition to hematological side effects the drug can cause seizures and a number of other organ specific toxicities like myocarditis. It should only be prescribed by experts familiar with its use and registered to prescribe it and follow the white blood cell counts. If the white blood cell counts fall below a certain parameter, the clozapine must be discontinued and not restarted. Clozapine can cause fatal agranulocytosis. I view clozapine as one of the most beneficial drugs in psychiatry and one of the most toxic. Clonazepam on the other hand is a benzodiazepine. It can be used to treat anxiety and panic attacks. It can also be used to treat seizures, but I have rarely seen it used for that purpose. The main toxicity is excessive sedation and the main clinical problem is that it can be addicting. But in terms of toxicity, it is generally well tolerated. My first question is why clozapine would be available in the post apocalyptic pharmacy? In any shorter term situation the medications that run out first are maintenance medications for chronic conditions. In this case, the survivors are supposed to be in Grady Memorial Hospital, one of the largest hospitals in Atlanta. I suppose it is possible that they would have a larger supply of clozapine since they are a metro hospital and if psychiatric services were as bad before the apocalypse as they currently are they would typically have a significant number of people in the emergency department that may be taking clozapine. The second question is - can it be given intramuscularly? It turns out it can be. A 1999 reference from Lokshin, et al describes their use of parenteral clozapine in 59 patients. They are using the drug for acute stabilization of inpatients and they do not describe whether or not their patients are taking other medications or are medication naive. They do not specify dosing but in one case described the problems with giving large intramuscular injections of up to 300 mg in injectable clozapine when patient refused the same oral dose. They had surprisingly few side effects, no fatalities, and no seizures. Unless I missed a reference somewhere this may suggest that the author of The Walking Dead episode believed that clozapine is a lot more toxic (and lethal) than it really is. Or do they have access to other information? That also brings up the question, if you were a physician with access to the post-apocalyptic pharmacy would there be more toxic and more lethal medication that could be used for that purpose. Most probably, but I will not be speculating about that here. There are a large number of questions that come up if you think about the possible intentions or biases here that involve the use of clozapine in a fictional plot. In situations like this, I prefer to contact the author directly and ask them what they were thinking. After a significant amount of time searching, I learned that there may have been some controversy with the writers of this series, but I could not find a single e-mail or snail mail address where I could send them that question. I would certainly prefer to get an answer from the author or authors. How did they first hear about clozapine? Why did they decide to use it in this case? Do they have a medical advisor who suggested it? Do they have a personal relationship with anyone who takes clozapine? Do they have an opinion about the medical treatment of psychiatric disorders in general? There is really a long list of questions. And finally there are also the practical treatment implications. Up to 17.3 million people watch The Walking Dead, a large percentage of them 18-49 year olds. I am sure that has implications for informed consent conversations between psychiatrists and patients and their families. We live in a country where 21% of 18-29 year olds get their news about Presidential campaigns from The Daily Show. After hearing the name from a psychiatrist somebody is bound to say: "Wasn't that the medication that we heard about on The Walking Dead?" The standard reply is that medical conventions and treatments are not immune to artistic interpretation and all areas of medicine are similarly affected. I may be missing something but it just seems like an unusual choice for this medication in this plot to me. 1: Lokshin P, Lerner V, Miodownik C, Dobrusin M, Belmaker RH. Parenteral clozapine: five years of experience. J Clin Psychopharmacol. 1999 Oct;19(5):479-80. PubMed PMID: 10505595. Giving 75 mg of clonazepam doesn't make sense either. Not to mention injecting ground up tablets. I assume everything else about the zombie apocalypse is accurate, though. @ URL Warning Strong Language and kind of a dated article. I guess I just assumed if you can lie about the medication order, you can also lie about the dose, but I don't recall any statement made about the clonazepam dose. I agree Dr. Dawson, that it doesn't fully make sense. As a writer and a psychiatrist, I do recognize the need of times to sacrifice accuracy for the purpose of story or drama. I wouldn't go so far as to say that this is inaccurate, however. There are few medications that have an more sounding names which would be used to keep a patient sedated. It seems to me, without knowing the writers, that there are several story points that medication was intended to serve. 3. one medication would be expected to be therapeutic, the other harmful. Therefore there are few options, and clozapine/clonazepam does work. In this respect, the story purposes were fulfilled. Your point is well taken, though, that any commentary in the media on mental health issues, Including the use of psychotropics, inherently has an effect on the public perception. Use of these concepts then should be used conscientiously. It might have been better, to simply use a single medication where the error was dose related. Such as 5 mg of Klonopin, instead of 0.5 mg.
As far as portrayals of psychiatrists go I guess I have my limits and I certainly don't agree with what at least some people see as a "good" psychiatrist in the movies. Agree with the purpose behind the medicine here - and you are correct I am concerned about public perception especially where the person might benefit from the medication and where the idea for the medication comes from in the first place. Maybe the writers went down the list. I thought SLP was propsychiatry too. Maybe the Indian psychiatrist as war painted Eagles fanboy was over the top but it endeared him to the audience. At a more subtle level I think it revealed the current trend of treating Axis 2 problems as Axis 1 problems. Side effects was a problem for me mostly because I never believed Jude Law and Catherine Zeta Jones in their roles. I can't label it antipsychiatry because it gave the audience the false impression that psychiatrists are that good looking! I didn't see it is totally antipsychiatry because the twist debunked some of the more hysterical claims made about medications. I give screenwriters a lot of latitude to make characters unethical or deeply flawed if it advances the plot. Even if only 1/1000 psychiatrists are criminally unethical, that character would probably be more interesting in a dramatic context than an ethical psychiatrist. I think saying that SE is antipsychiatry is like saying The Verdict is antilawyer or A Few Good Men is antiMarine. If that was the only representation, you'd be absolutely right. They're not trying to make a general point about a profession, they are trying to create a dramatic situation. One very underrated movie is "The President's Analyst" with James Coburn. In it's absurdism, it hits a lot of high notes. This whole subject is interesting to me. The Sopranos is often cited as propsychiatry and for some good reasons. However, I always found Melfi to be amazingly incompetent and lacking self-awareness. Agree with you mostly - especially about the lack of expertise. I have seen maybe 1 or 2 films where somebody seemed to be practicing psychiatry. Disagree about Side Effects. It was more than just dramatic license. All of the psychiatrists were problematic in major ways. In the Verdict, I seem to recall that Paul Newman rose to the occasion, won the case and redeemed himself. There was really nothing redeeming about the Jude Law character and the Zeta-Jones character was sociopathic. My favorite is Still of the Night starring Roy Scheider and Jessica Tandy as a son-mother combination of psychiatrists. It would be good for me to see it again because that was when I was a PGY-1 and still naive about the profession so my opinion is probably based on how I imagined psychiatrists should behave. Thank you for your post. I was baffled by the sudden death in Walking Dead and googled to find out if this could happen. 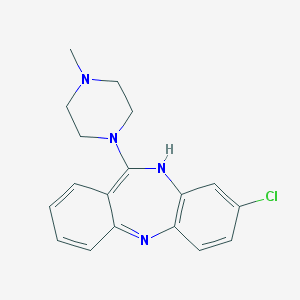 Clozapine is used in a bizarre way in Homeland as well - it seems in American dramas it is shorthand for Scary Drug. I know someone who takes clozapine and if he watched these programmes he would definitely take it personally! That was my concern as well. Can you say more about how clozapine is used in Homeland? I am not a subscriber and see the episodes 2 or 3 years later. A friend of mine who used to run a clozapine clinic reminded me of research that shows that despite the potential side effects can be used with fewer problems than other atypicals. Overall use is declining and that is probably not a good trend. Lol. Watching this episode in 2016 (I was trained as a pharmacist, with a PhD in pharmacology), and I had the same questions. 75 mg of a benzo is generally beyond the pale, regardless of the indication. Lol. Watching this episode in 2016. Immediately googled 75 mg clonazepam - I was trained as a pharmacist, and have a PhD in pharmacology, and this seemed suspect. Apparently in present day there is no benzo being prescribed in 75 mg doses. How Do So Many People End Up on Stimulants?